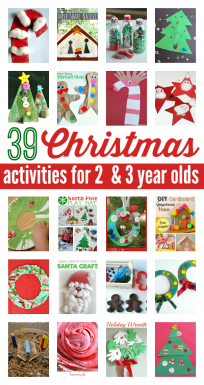 Having a no glue Christmas craft is a must for holiday parties, and the last day of preschool at a church school like the one I teach at. 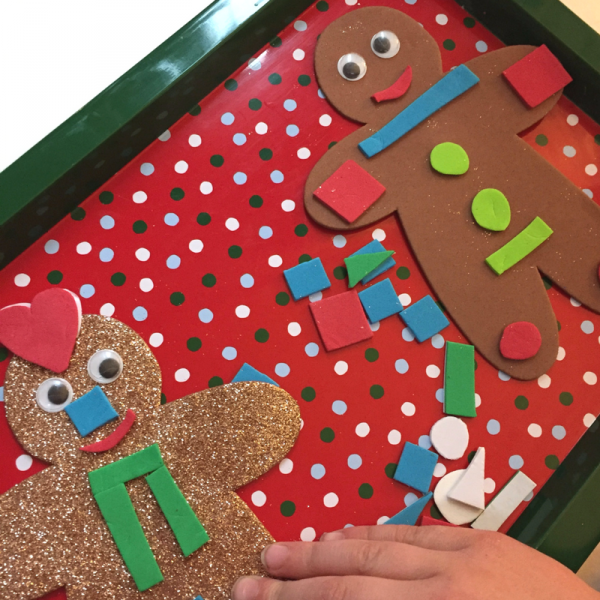 While I advocate process art as the bulk of art explorations in preschool, in December we do end up making more crafts that become keepsakes, especially for Christmas. 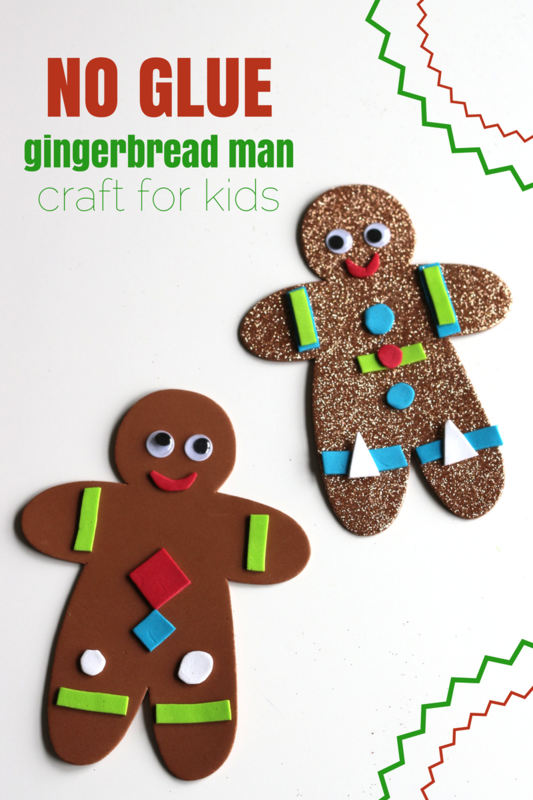 This no glue gingerbread man craft is exactly what you need for your holiday event where you don’t have time for the glue to dry. 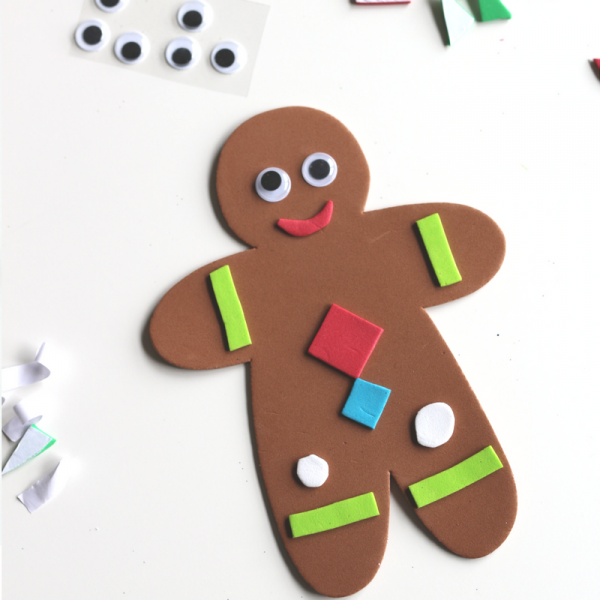 Before we get started – if you need more gingerbread ideas you have to check out my Gingerbread Friends thematic mini-unit! <–click here to learn more! Gather your materials. 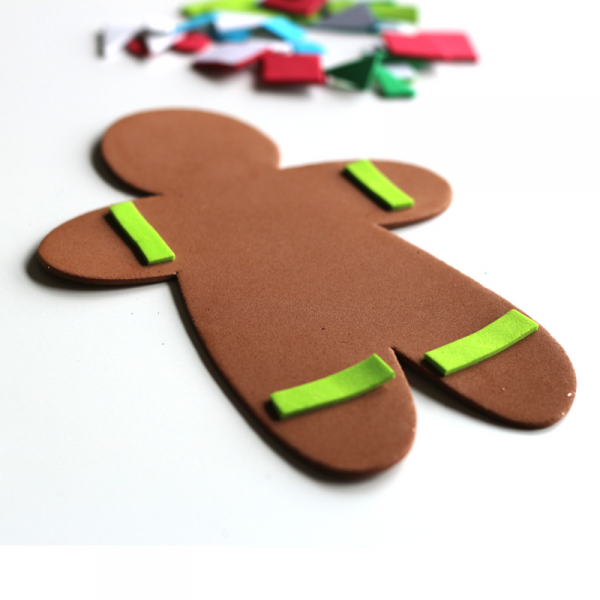 You will need some gingerbread cut outs; you can get them at most craft stores, but you could also just make some from brown card stock. 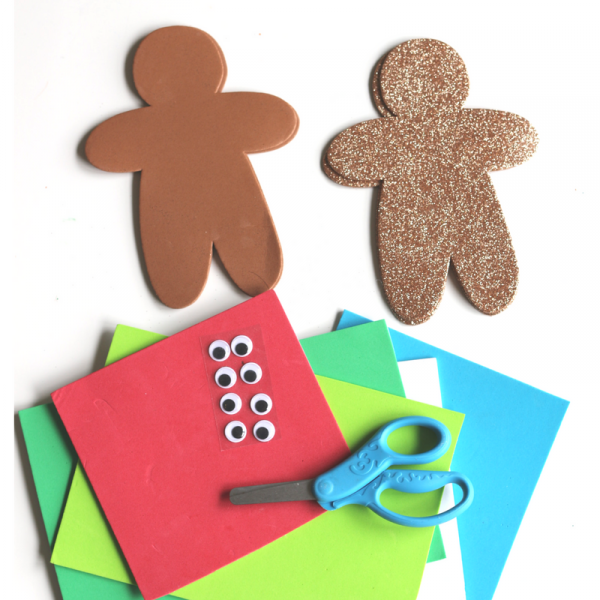 You will also need some sticky back foam, scissors, and sticky back googly eyes. 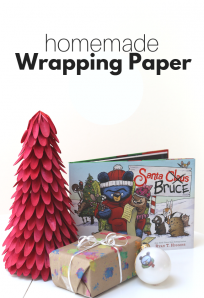 These materials are a little more expensive, but as long as you aren’t using them for everyday crafts, it shouldn’t break the bank. 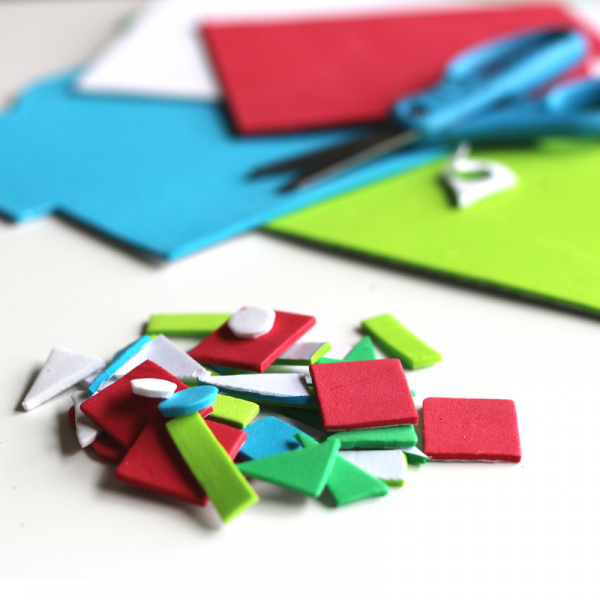 Start by cutting shapes out of the sticky back foam sheets. I made all different shapes because I like to fit a little shape recognition into this simple craft. Don’t forget to cut some mouths. The foam and eyes stick to the glitter ones as well. When a certain first grader got home, she jumped right in and made a few of her own! 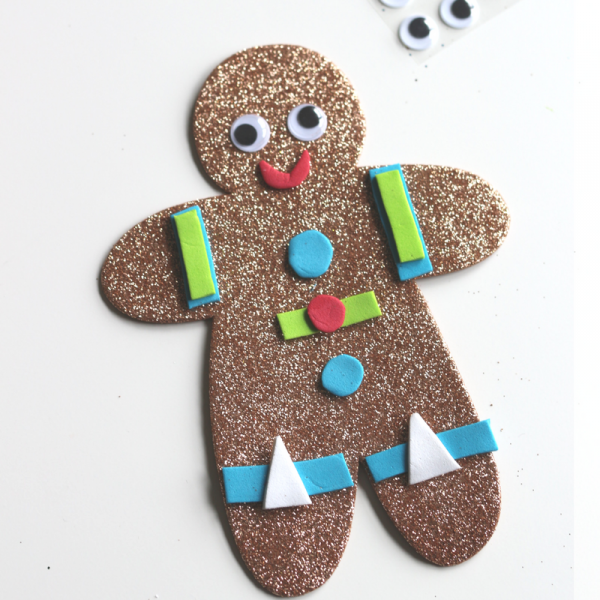 Georgie the Gingerbread Fairy by Tim Bugbird is a sparkly fun book about entrepreneurship. Georgie is a little fairy who makes gingerbread but when a new shop opens her business drops. When a problem arises with the new shop, it”™s Georgie to the rescue to keep the holidays smelling ( yes you read that right) as the holidays in her little fairy town. My daughter likes this book and loves to pick out which fairy she would be on every page ( I”™ll give you a hint it”™s always the one with the most color pink) and I appreciate the message of problem-solving and women owned businesses! The Gingerbread Pirates by Kristin Kladstrup was an instant hit with my kindergarten-aged son, but it was too long for my daughter (who was a toddler at the time of review) sat and listened but wasn”™t engrossed in it. 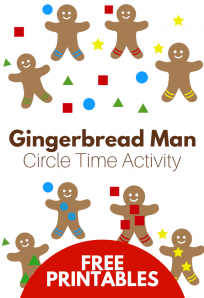 The story was all about pirate gingerbread men who come to life on Christmas Eve and faced Santa even though most of them were left for him to eat. There is an adventure; there is humor and a whole lot of Christmas magic. What made this book for me were the illustrations by Matt Tavares. 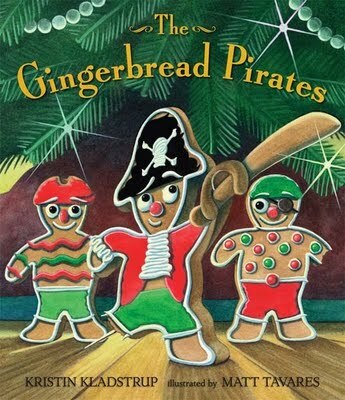 I loved that they were from the perspective of the gingerbread pirates . Love this book.